Angola with its capital Luanda is located in Africa (Southern Africa, bordering the South Atlantic Ocean). It covers some 1,246,701 square kilometers (about eight times the size of Georgia) with a population of 29,310,300. Portuguese is the language spoken by people in Angola. Democratic Republic of the Congo, Namibia, Republic of the Congo and Zambia are bordering countries. 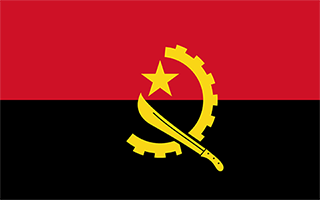 Angola is a country in Central Africa. Mussulo Island is a beautiful extension of land situated in the south of Luanda (the capital). It is famous for its natural beauty. Angolan cuisine is varied and tasty, with local dishes based mainly on fish, cassava products and spicy stews. 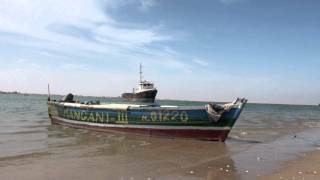 Angolan seafood is abundant and very good, and the Angolan coast is a special place to eat fresh lobster right off the fisherman's boat. Traveling in Angola requires a minimum of knowledge of the Portuguese language. Also, due to the fact that lots of people migrate from neighbouring countries to Angola, it is sometimes possible to use French and Afrikaans. The official currency of Angola is the kwanza (AOA). It is prohibited to import or export any sum of kwanza, and attempting to do so will result in confiscation of the currency and penalties levied. The terrain is narrow coastal plain rises abruptly to vast interior plateau. The average density of population is about 24 per km². The climate in Angola can be described as semiarid in south and along coast to Luanda with north has cool, dry season (May to October) and hot, rainy season (November to April). Possible natural disasters include locally heavy rainfall causes periodic flooding on the plateau. To reach someone Angola dial +244 prior to a number. The local cellular networks are operated on 900 MHz, 1800 MHz, 3G, 4G. Websites typically end with the top level domain ".ao". If you want to bring electric appliances (e.g. battery chaarger), keep in min the local 220 V - 50 Hz (plugs: C). The sign for the locally used currency Kwanza is AOA. Two equal horizontal bands of red (top) and black with a centered yellow emblem consisting of a 5-pointed star within half a cogwheel crossed by a machete (in the style of a hammer and sickle); red represents liberty; black the African continent; the symbols characterize workers and peasants. Angola scores low on human development indexes despite using its large oil reserves to rebuild since the end of a 27-year civil war in 2002. Fighting between the Popular Movement for the Liberation of Angola (MPLA), led by Jose Eduardo DOS SANTOS, and the National Union for the Total Independence of Angola (UNITA), led by Jonas SAVIMBI, followed independence from Portugal in 1975. Peace seemed imminent in 1992 when Angola held national elections, but fighting picked up again in 1993. Up to 1.5 million lives may have been lost - and 4 million people displaced - during the more than a quarter century of fighting. SAVIMBI's death in 2002 ended UNITA's insurgency and cemented the MPLA's hold on power. President DOS SANTOS pushed through a new constitution in 2010 and was elected to a five year term as president in 2012.